Like many other states, Montana has had a spate of horrific child abuse cases and deaths. Unlike some other states that are only trying to toughen child abuse reporting laws — which is akin to closing the barn door after the horse gets out, but worse, so much worse — the legislature authorized a deep-dive into understanding what child trauma is all about. the state follows in the footsteps of Washington State, which has integrated ACE concepts into policies driving health, social services, education and criminal justice. Twitter, you can follow the progress through the tweets of Great Falls Tribune reporter Kimball Bennion — @GFTrib_KBennion, or the hashtag #CFHHS. Sparked by some highly publicized abuse and death cases in Great Falls last summer, Senate Joint Resolution 30 called on the committee to review the science behind childhood trauma and explore ways to prevent or mitigate its effects. Unfortunately, you have to buy a copy of the e-paper to read the entire article. (It’s not the 75 cents that’s at issue, it’s the hassle of having to sign up for an account.) Here’s Bennion’s introductory overview from yesterday, at no charge. 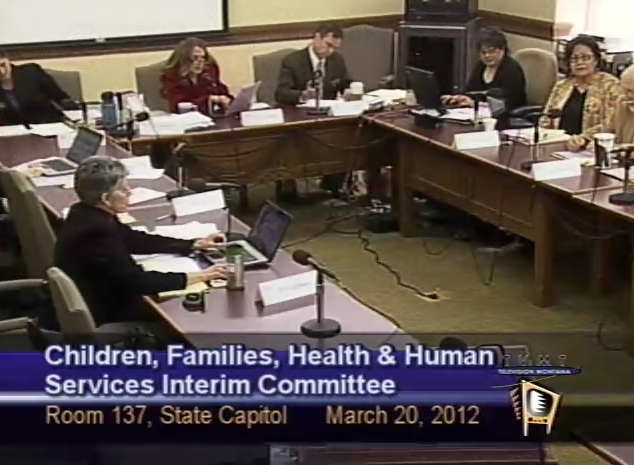 You can watch the rest of today’s session live and obtain presenters’ materials at the committee’s web site.